Beauty Makeup, photoshoots, product knowledge, Ideas I’ve been trying and current trends. Guests of Plan Your Day Thunder Bay 2019 made their own lip scrubs hosted by Scotia Kauppi of Sweet Cherry Spa & Carly Hughes of Wink Beauty Studio. Why This Works Cinnamon is a natural lip plumper, so if you want that Kylie Jenner pout without the lip injections, this scrub is a foolproof technique to achieve that. Cinnamon also acts as a natural exfoliator and helps you achieve smooth, soft lips instantly. How to prep your skin prior to your wedding so that your makeup will last longer, not budge or flake off. 2 weeks before your wedding do not try any new products, spray tans, or tanning beds. If you have dry cracked lips, brush your lips with hot water on a softer toothbrush after your brush your teeth nightly. If you have problematic skin, have a facial/skin care consult with an esthetician a month or two before. To test out their products to make sure they work with your skin type. When to have the trial done 2 weeks – a month before ie: don’t have your trial in the winter if you are getting married in the summer. Your skin tone will not be the right shade and will mess up your contouring and foundation shade. What Makes a Professional Makeup Artist? Lately I have been doing redo’s of people’s work on makeup clients. Clients will spend lots of money to hire a professional makeup artist, but some are more professional than others. The disappointment of clients and the stress before a wedding or big night out is unfair to them. Where’s the line between someone who can do makeup well and who is a professional artist? And how can you cross that line and become a professional makeup artist? Obviously no one just emerges from their mothers womb a makeup artist! After a really busy summer of bridal bookings I have had time to reflect on how I book clients. I still have openings for the fall and winter! I have had to update my bridal contract and prices to reflect the current market and how clients have been booking their weddings. All pre-paid and signed contract holders are grandfathered to their original contract they have signed, this is only for new clients. New services are available! Such as me staying to touch up after your photos, tattoo cover ups, and children’s makeup for under 12 (consists of eye shadow, blush and lipstick/gloss). Price change of retainer and overall pricing. If you are last minute(2 weeks or less) canceling services for Bride, bridal party and/or guest makeup, you will be required to cover 50% of the total quoted fee for those canceling. If its less than 48 hours notice: you will be required to cover 100% of the quote. This is to cover the fact that I will not be able to make up the same amount of revenue in spa when the date has been booked for a long time. Travel outside of Thunder Bay city limits has been more thoroughly explained. Quote will now cover all party members not just bride. Thank you for all your understanding in the changes and look forward to continue bringing a elegant, beautiful, sweet look to top off your wedding look! I am still taking new brides for Fall/Winter 2018 and booking into 2019 you can book your trial here! See me at this fall’s Wedding Show Sunday October 21st at the Victoria Inn where I will be presenting a small seminar: “Makeup Wedding Trends That WILL Date Your Look”. Okay hold onto your Bunnydeer Hatbox hats ladies…. for once….. I DON’T HATE SOMETHING! I saw this advertised on instagram, by which I mean the instagram robots told me to look at it probably 100 times over the past few months. 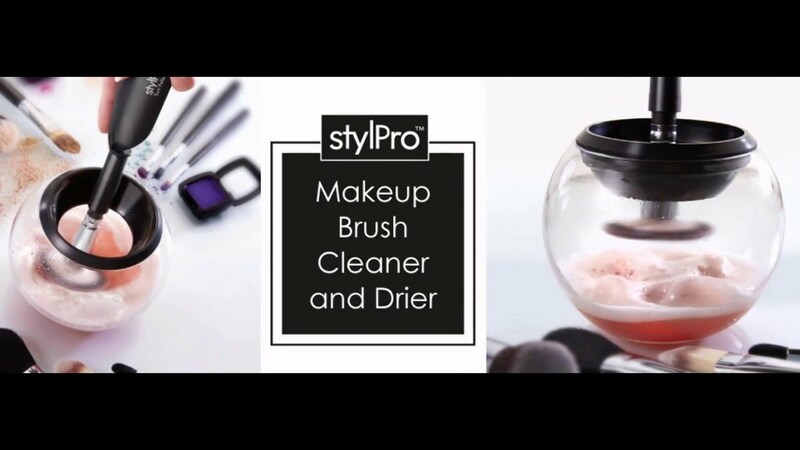 It spins your makeup brushes clean and then dries them. Of course I first thought… probably wreck my brushes so I shrugged it off. This past weekend a bride brought it in for her trial just to show me and I tried it and absolutely loved it! Though of course testing any makeup the internet shows me requires me to rigorously test it. Why Are You Doing That Viral MUAs? This is a letter to the general makeup artists on instagram and youtube. you don’t need that much primer. blending with stupid household items (food, condoms, random objects). you can get good beauty blenders for like a dollar online! Use your clean hands if you really just don’t have brushes or blenders. dripping/dribbling primer or foundation down your face. You don’t need that much. contouring more than once. pick one you like: cream foundation, powder blush/bronzer/highlighter combo… doing both is too much. doing the “100 layers of..” trend. stop wasting product. 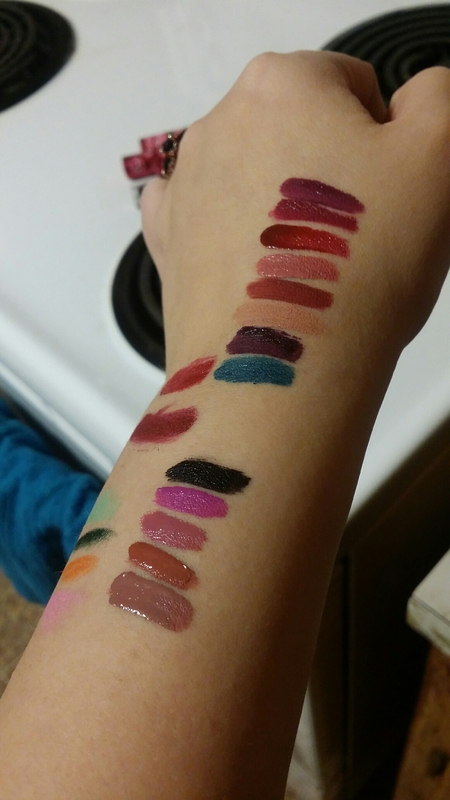 using weird cheating products like the vamp stamp and other things. If you are a pro makeup ARTIST then you need to work at your craft not cheat your way there. here’s another list too for more! I love trying these items out as a joke… I would NEVER use them on a client or on myself. Out of the 100s of new products that come out each year.. maybe 1 or 2 of them are worth adding to your kit. The only thing that I have tried and liked that was popluar and new was the “Beauty blender” egg sponge. But I still don’t use them regularly on my clients. That’s why I invest in nice brushes. I just want to say that for those of you doing these as jokes, cool, don’t take it seriously. But I am a serious makeup artist, I have spent 15 years working on my self and my art. I went to school for it, I am a professional. In my personal opinion if you can only do your own face and have nothing to show for your own work then you aren’t a professional makeup artist. You can do your own makeup well, which is a skill but not on the same level as me or my peers. Lately I have had a influx of brides dropping out of booking with me, losing their retainer and all. Why? — “Because my friend is really good at makeup and will do it for free“. Which is a super nice gesture and that’s fine it’s your choice. But I want to ask: why did you think of booking me, a professional in the first place? Hunting and Makeup: Do You Ware It? I had a very interesting conversation with my good friend Katie Ball (owner of Silver Cedar Studio). She is a hunter and a trapper along with being a fur fashion designer. Katie called me the other day and had some questions about makeup and her line of work. Katie’s business profile photo: soo beautiful and silky! 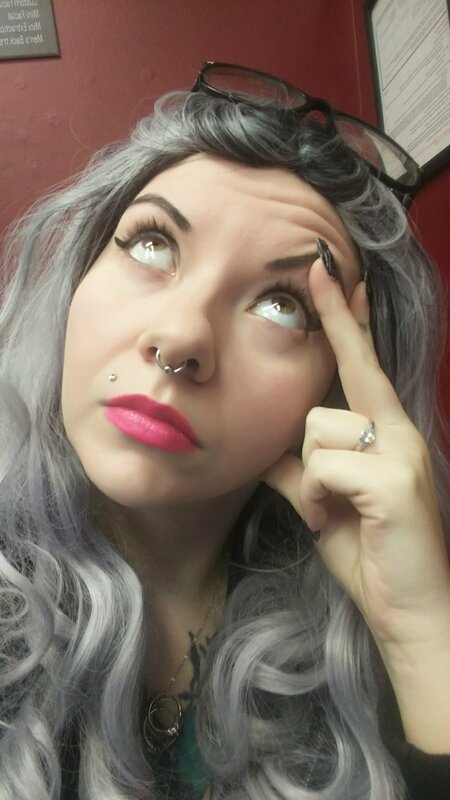 “Should I invest in lash extensions? Should I bother wearing makeup because right now why would I when I’m just checking trap lines? Leah (eating dirt blogger) wrote a beautiful blog about her experience with coming through a rather unexpected divorce. She had hired me to do her makeup and hair for her ultimate trash the dress photoshoot and soon after we have become close friends. A cleansing of fire, with fire, and through fire.